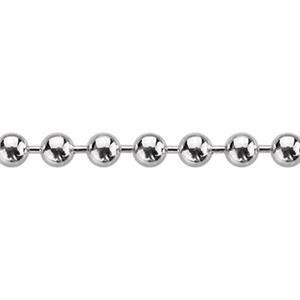 Top quality Italian sterling silver ball chain in a sturdy 2mm diameter. Interconnected beads of silver give this chain exceptional drape and flexibility. Sometimes called "dog tag chains" because of their military past, ball chains are now a fashion favorite for both men and women.